The sport’s governing body is set to bring in a host of changes in 2013, including the current V8 engines being replaced by four-cylinder 1.6 litre units, with a reduction in fuel consumption and increased use of systems to help recycle a car’s power. 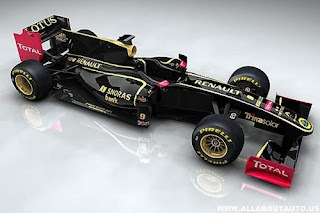 And Fernandes, chief at Hingham-based Team Lotus who were known as Lotus Racing in 2010, expects the changes to have a profound effect on the F1’s image. “I always said we have got some of the best brains in the sport in terms of engineers and technical people, and wouldn’t it be great if they could use their brains to make the world a better place. The fact we can reduce fuel consumption by 35pc is phenomenal. “Imagine if we could transfer that to every car out there; it would be ‘wow’. That is a massive number. Imagine also with the usage of Kers (kinetic energy recovery system), we are recovering 1pc at the moment but we could be up to 50pc in years to come. Not that Fernandes thinks F1 should stop at what has been announced. “I hope the next step is to make the wheels and tyres the same size as (road) cars so tyre manufacturers benefit from the safety that is learned, and engineering that can be put onto a 1.6 litre Toyota, or Hyundai or Renault,” added the Malaysian. The Hingham outfit is in the middle of a bitter legal dispute with Hethel car manufacturer Group Lotus over who can use the iconic Norfolk marque in F1. Team Lotus also gained its entry last season expecting all teams to adhere to austerity measures that, in the end, were greatly watered down once the 2010 campaign started – leaving Lotus Racing, Hispania and Virgin with fewer staff and a smaller budget compared to their nine established rivals. However, Team Lotus technical chief Mike Gascoyne still expects F1 to also bring in its cost-cutting measures – to his team’s benefit.